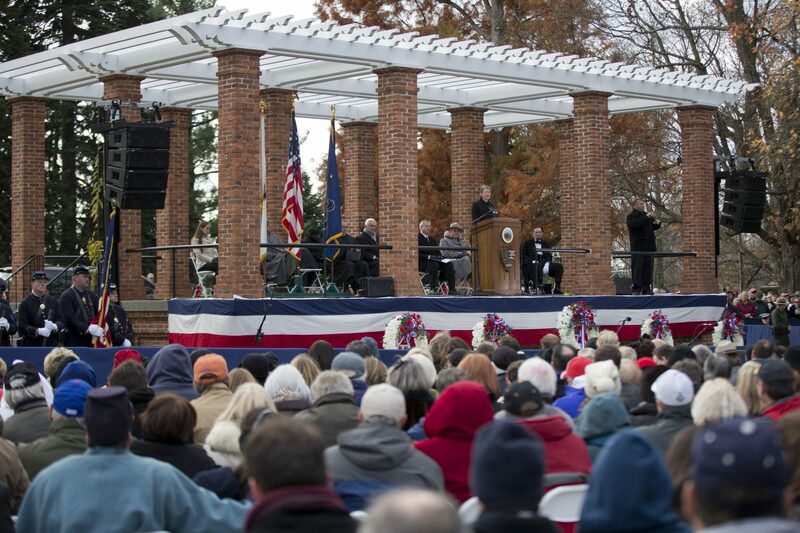 FILE PHOTO: Interior Secretary Sally Jewell speaks during a ceremony commemorating the 150th anniversary of the dedication of the Soldiers National Cemetery and President Abraham Lincoln's Gettysburg Address, Tuesday, Nov. 19, 2013, in Gettysburg, Pa. Lincoln's speech was first delivered in Gettysburg nearly five months after the major battle that left tens of thousands of men wounded, dead or missing. You learn to roll with the punches, for heaven's sake." (Harrisburg) — For the second year in a row, Gettysburg’s annual Remembrance Day parade will be rerouted because of threats. Shaw added he’s not intimidated by the threats. Remembrance Day events are meant to honor all the soldiers of the Civil War, and mark the anniversary of President Abraham Lincoln’s Gettysburg Address. The parade is slated to begin at 1 p.m. on Saturday, November 17th.